From my initial discovery of the dark ambient genre, Svartsinn has been one of the haloed artists topping my list of favorites. The first dark ambient artists to draw my attention, I can’t remember the order, were Svartsinn, Northaunt, Atrium Carceri and raison d’être. Really this was the perfect combination of discoveries. As I would later realize, further delving into the genre, each of these artists have their own particular niche, and each of them are arguably the best at what they do within these niches. Of the aforementioned artists, Svartsinn is by far the most subtle and passive in his execution. His tracks take on an extremely atmospheric vibe. Yet, there is often little activity or dynamics within any given track. This formula has led me to find it hard to point to any one track or even album by Svartsinn which I would say is my definite favorite. Instead, and all the better for it, I find that I can put on any Svartsinn album and allow it to drag me into the deepest darkest corners of my mind. Svartsinn is the music of introspection. His delivery gives listeners the ability to contemplate their own particular ideas and emotions with his music there only to catalyze the process. It has been quite a while since the last album by Svartsinn. 2013 was the last time we saw a concrete release. That was the split with Northaunt, The Borrowed World. A spectacular album that comes as close to perfection as anything I’ve heard. I took a detailed look at The Borrowed World recently, you can read that analysis here. Before that the last full length by Svartsinn was Elegies for the End back in 2009. So a new album by this renowned artist is well overdue. Collected Obscurities is not that album. This is a collection of previous works, some collaborations, others solo work which appeared on compilations, with the final track being an alternate version of “September Dirge” from Elegies for the End. So we can look at Collected Obscurities as more of a pacifier than a proper new album. With that goal in mind, Collected Obscurities is a welcome release. Some of these tracks have become all but impossible to find, with their original releases being long sold-out, some having never made the transition into the Bandcamp universe. So, for a die-hard Svartsinn fan like myself, Collected Obscurities has presented some tracks which are reaching my ears for the very first time. Svartsinn takes his dark ambient music very seriously. This is likely the reason that we’ve seen so few releases by him over the last decade and a half. So, when he releases something, there is damned good reason to give it all due attention. Collected Obscurities is no different in this matter. 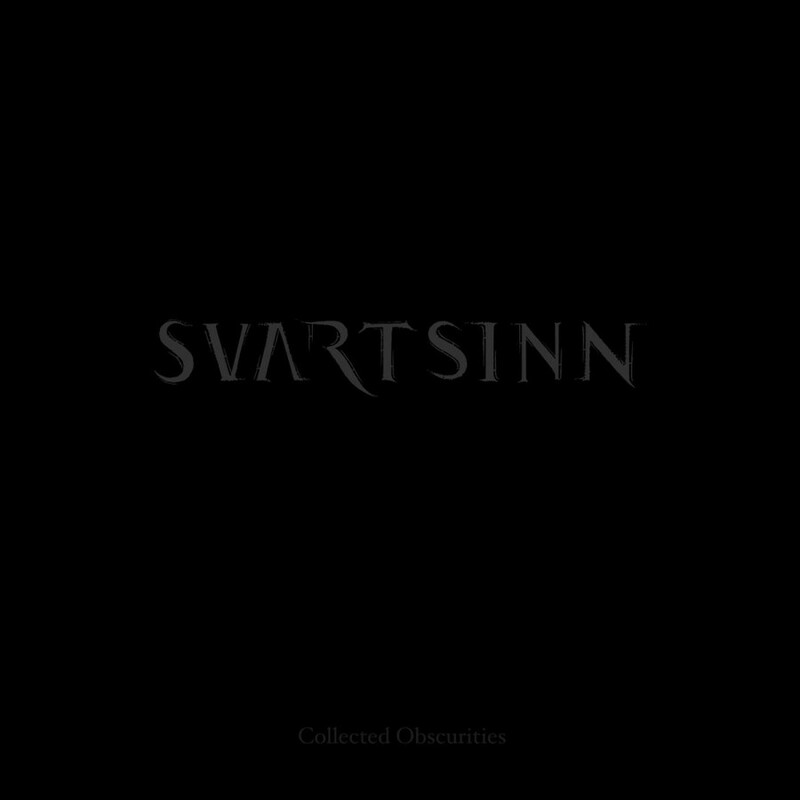 Each track showcases all the brilliance and subtle darkness that Svartsinn has to offer. Add to this a handful of collaboration tracks with the likes of: Northaunt, Allseits, Gydja and Psychomanteum, and you get an absolute must-have album. This collection has been playing non-stop in This Is Darkness headquarters since the moment promo material was sent out. I am finding so many things to love within Collected Obscurities. The first half of the album consists of solo tracks, almost all of which I haven’t heard previously. They contain all the nuanced splendor to be expected of Svartsinn. The opener “The Fading Horizon” is beautifully dark in its minimal delivery. The atmosphere is that of a cool foggy morning, beads of water glistening on the windows. The perfect companion to introspection or reading some dark works of fiction. The second half of the album consists of the collaboration tracks. Here we get into some more active territory. These tracks are a bit out of the ordinary for Svartsinn as a whole because of the bold delivery and some quite interesting samples being added. “Falling Pt. 2” featuring Allseits takes the subtleties of Svartsinn and matches them with the oppressively thick drones which brought Allseits to prominence. “Eksistensens Arkitekt” a collaboration with the now defunct Psychomanteum is probably my favorite track on the album. Starting off with a sample from some movie of which I am not familiar, a man addressing God, in a less than reverent manner. The rest of the track introduces a number of field recordings such as running water and a harsh winter breeze, coupled with those subtle yet beautiful drones of Svartsinn. It should be noted here that half of Psychomanteum, Robert C. Kozletski, continues his dark ambient journey as Apocryphos. So for readers that don’t know much about Svartsinn, Collected Obscurities is a wonderful place to make that first introduction. For those of us that followed him for years, Collected Obscurities is a damned good reminder of why we love Svartsinn and its a perfect way to hold us over until he finally delivers his new opus, which we must all be hoping to happen sooner than later. There are all the usual elements that we know Svartsinn for and the collaborations give us a chance to focus on the brilliant collaborative side of the Svartsinn project, which have been so dispersed and few in number over the years that many of us should find them as a welcome refresher. While there is nothing particularly new here, that doesn’t change the fact that Collected Obscurities is an absolute pleasure from beginning to end, and deserves a place on the shelf beside the rest of his illustrious discography.